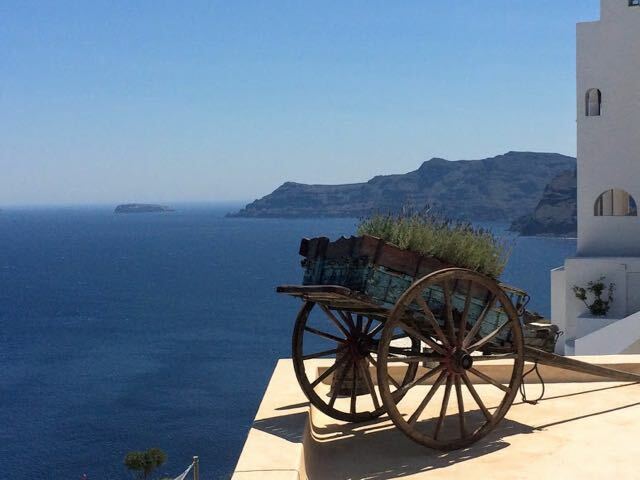 You are here: Home ∼ Is Santorini Worth It? Place a glossy travel mag in my hands and I’m as happy as the proverbial pig in sh!t. Page after page, I love pouring over pictures of cerulean seas and cloudless skies. But here’s the thing – those pictures of those destinations are no more real than the images of celebs in Vogue. Airbrushed and enhanced to not within a mile of what they actually look like, our dream destinations are presented to us in a way that will make us buy, buy, buy; the magazines not caring one jot that our dreams are quickly shattered the second we turn up to the scene of the photoshopped crime and find out it’s nothing like we were promised. That’s why I like blogs. For the most part, blogs don’t do that. 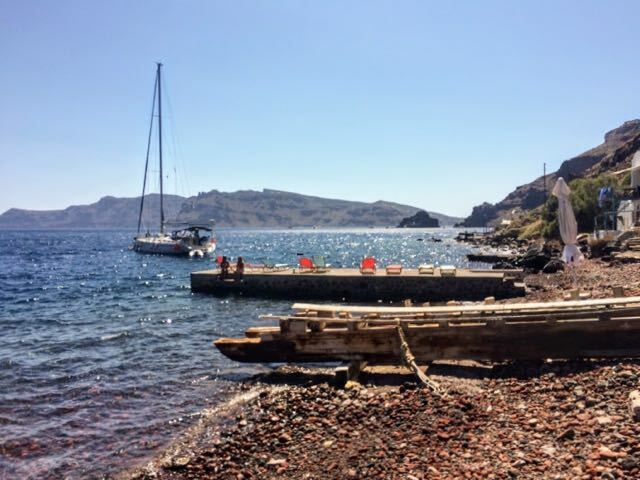 And in this blog I’m going to tackle what must be one of the most mis-sold destinations within the travel industry: Santorini in Greece. We’ve all seen the pictures – gleaming white churches holding up sea-blue domed roofs, teetering on the edge of a volcanic rim. Who, having seen those pictures, hasn’t put Santorini on their bucket list? Those images made me pop it on mine. And all this is without mention of what we’re led to believe is one of the world’s most romantic sunset spots. Add private villas with infinity pools and you have a honeymoon haven, with ‘once in a lifetime’ price tags to prove it. But here’s the thing. Santorini – that version of it, all blue and white and screaming romance – it doesn’t exist. Not the way the magazines and travel agents lead you to believe. Part of me is sorry for writing this post and shattering the illusion, but if you spend every day dragging yourself out of a warm bed, through the cold mornings and into an job you can’t even be bothered to loathe, I don’t want you to spend your hard won cash and too infrequent holiday time on a dream that doesn’t exist. 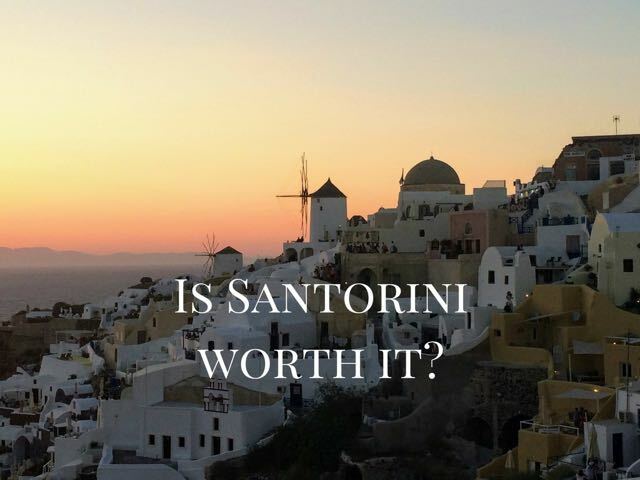 And you would be spending ALL of your hard won cash, because if one thing Santorini doesn’t do, it’s come cheap. The good news is, I have an alternative to Santorini for you in the form of a neighbouring island. It will deliver what you’ve been promised. I promise. But before we get to that, let me present to you the truth about Santorini. I think it’s best done in pictures, seeing as that’s how we’ve all been mis-sold in the first place. Is Santorini worth it for the beautiful blue pictures? I suggest we start with ‘that image’. 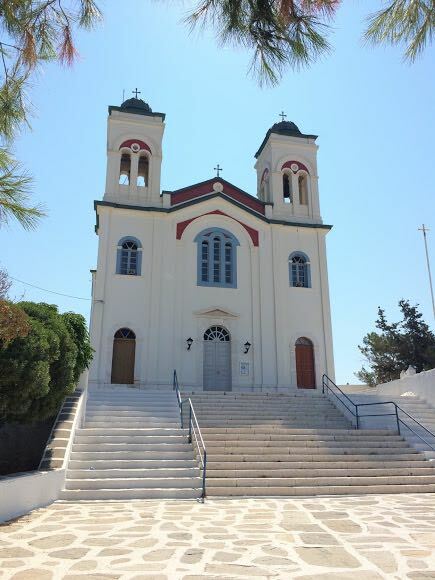 You know the one – a blue roofed church overlooking the sea. An image that is Santorini in all of its glorious stereotypes. 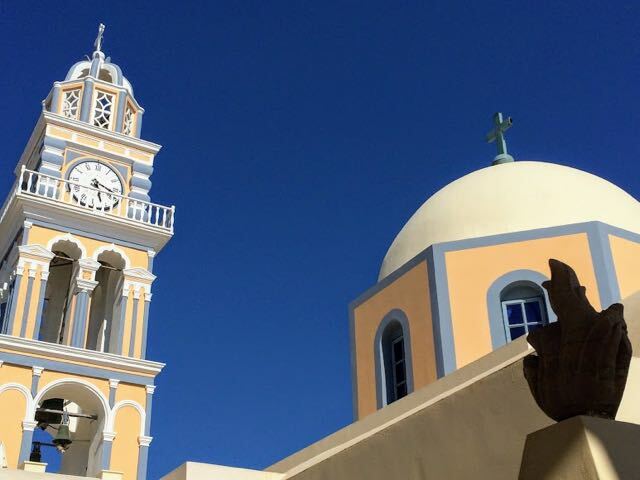 It’s the kind of picture that leads you to believe that Santorini is top to tail blue and white. But all of those blue and white pictures in the glossy mags – they are all of the same few buildings, taken from the same few spots. Do a Google image search for “Santorini” and this is what you get. See what I mean? 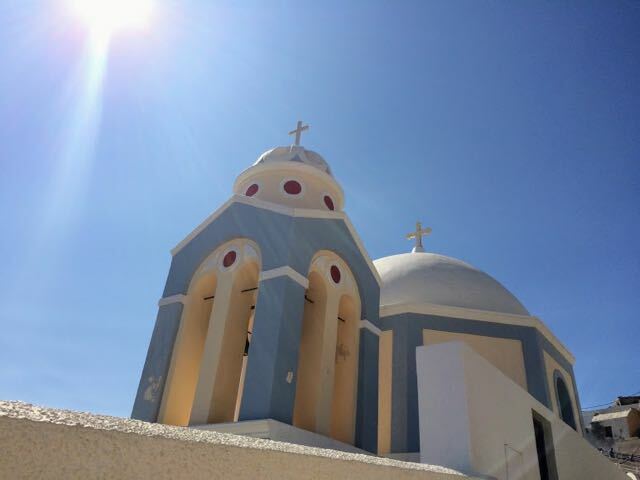 It’s easy to be duped into thinking Santorini is an island with swathes of blue. 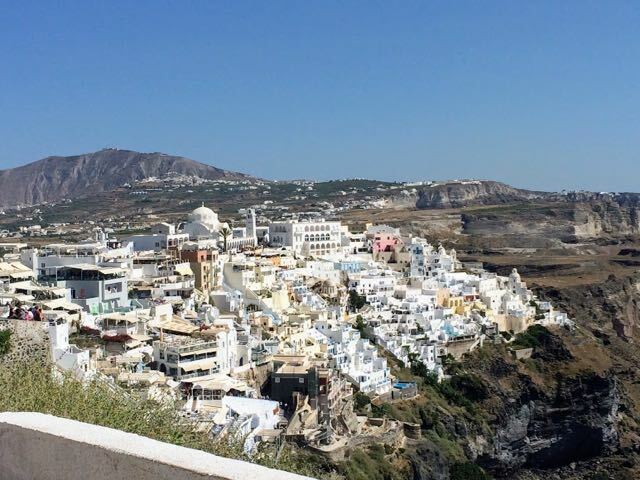 Yet, in reality, Santorini is actually a patchwork of weathered white. Here are the two main tourist towns – Fira and Oia. More white en route to Oia, which is also white and features in the far distance on the left of the picture. And a close up of Oia. Point out the blue in this next one (apart from the sea and sky). Pretty enough but where’s all the blue I was promised? Put simply: it doesn’t exist. Not on Santorini, at least. So, is Santorini worth it for those famous blue photos? In my opinion: no. There are other places in the same set of Greek islands (the Cyclades) that offer more blue photo opportunities. More on that below. 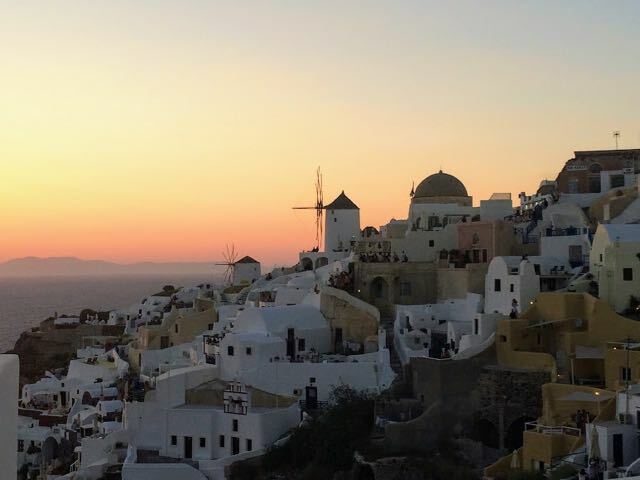 Is Santorini worth it for the sunsets? Of course, the sunsets are stunning. Sublime, even. But that sunset view is only half of the picture. Literally. Notice the people? Notice how they’re already blocking the narrow streets in anticipation and the sun isn’t even close to setting yet? After days of jostling elbow to elbow with Santorini’s mass of tourists, I expected the sunset was going to be more manic than epic but, still, I persisted. Arriving over an hour before sundown, I planned to find a nice bar with a good view from which I could sip a glass of cold white wine and watch the hot ball of fire retire for the day. Not only was there not a single seat left in any of the bars or restaurants; there was barely standing room on the narrow stepped streets. Sure, it’s a wonderful sunset – if you don’t mind also looking at the back of people’s heads. And don’t get me started on the number of selfie sticks that ruined my photos and, more than once, nearly ruined my face. What a wonderfully romantic sunset spot – just you, your loved one and about 10,000 other people. I lost my two travel friends for over an hour in that crowd. After I found them, we sat stock-still in traffic for a further hour trying to get out of the gridlocked town. Whether Santorini is worth is for the sunsets is a hard one to call. Yes, they are stunning but the jostling could seriously test the patience of a saint. 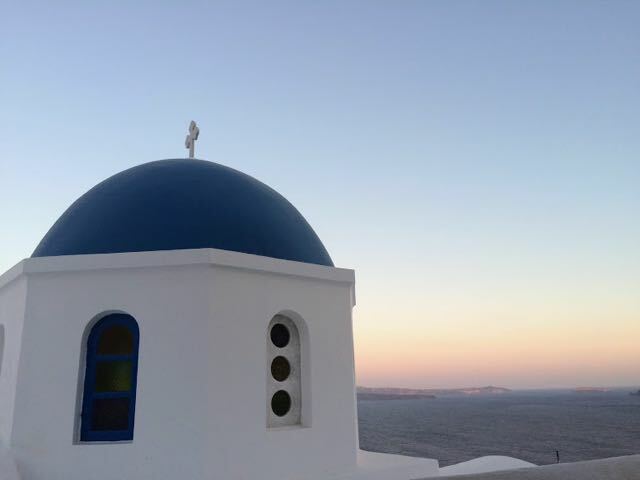 Oia or Fira for Sunset? 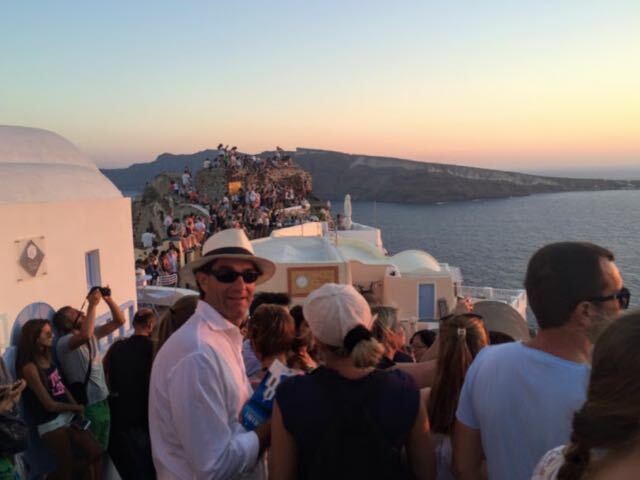 That’s ultimately a matter of personal preference – the sunset in Fira was far less crowded. I even managed to bag a gin and tonic spot in a bar. 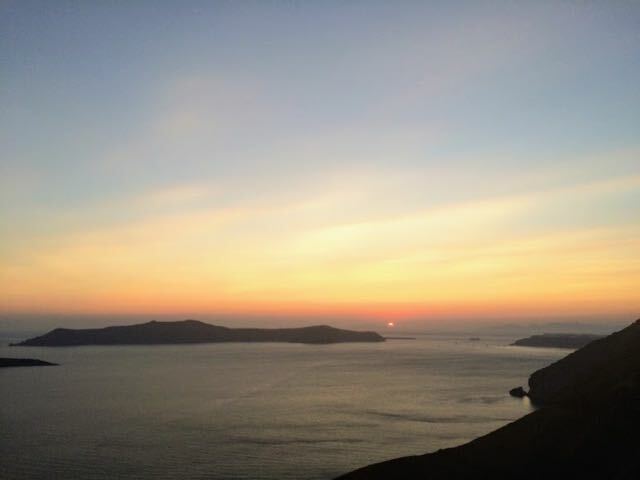 But the sunset in Fira (above) is also less spectacular. Are the crowds really that bad? Santorini is little over 75 square kilometres in size (under 45 square miles). Yet, in 2015, 636 cruise ships invaded the island, bringing 790,000 visitors with them. That number, it seems, was enough for the tiny island of Santorini to say enough is enough – in 2017 they are due to cap it to 8,000 cruise ship visitors a day. That’s still a huge number, isn’t it? Yes it is, and it only brings the estimated, uncapped number (10,000) down a shade. And this is without mentioning the people who are actually staying in one of the island’s 800 or so hotels. 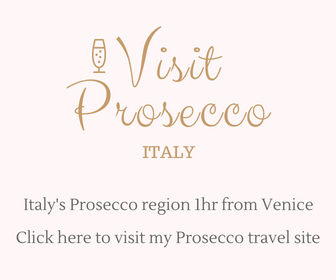 As for the locals – you know, just in case, you wanted to get an authentic travel experience where you get to meet some Greek people and learn about their culture – my advice is don’t count on it. 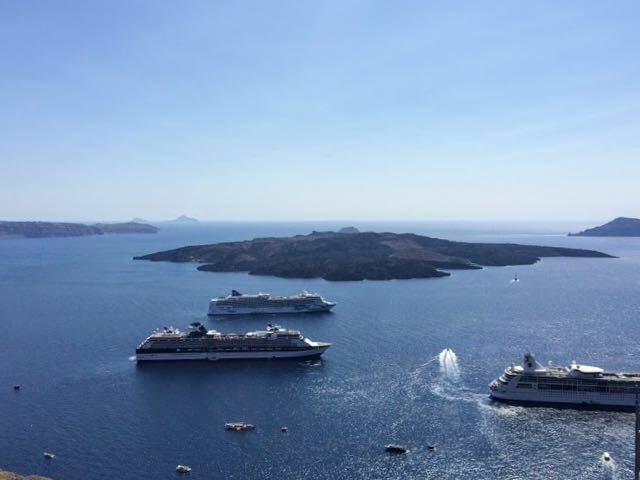 Only around 13,000 Greek people reside on Santorini meaning that the number of native people is pretty much equalled by cruise ship visitors on any given day. Is Santorini worth it for the beaches? I’d like to tell you that the beaches are beautiful. In fact, they are if you’re after the rare(ish) experience of walking on volcanic shale. However, that is not how most people define a beautiful beach. They want sand as soft as icing sugar with a colour to match. If that’s you, I’m afraid you’re not going to find those kinds of beaches on Santorini. That picture above – that’s the main beach within the town of Oia and it takes a 30/45 minute (downhill/uphill) trip down steep steps to reach it. The great part is that most people don’t bother, which is a relief because it would only hold a few dozen people anyway. And none of them want to sit down on those sharp volcanic rocks. Not in a bikini, at least. What about the fact that Santorini is a volcanic caldera? 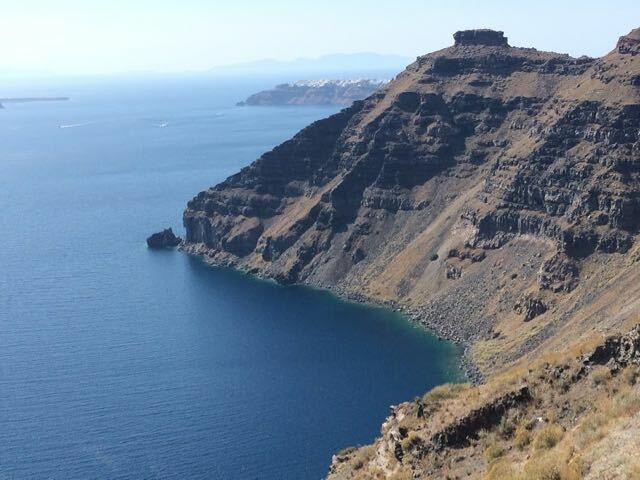 Yes, Santorini is worth it for it’s volcanic topography. Absolutely. Formed over 3,500 years ago from a volcanic eruption, Santorini is the remains of the rim of a volcanic crater, known as a caldera. As a lover of volcanoes, I found this aspect was worth a visit to Santorini all on its own. Even if you couldn’t give a flying stuff about volcanoes, you cannot deny the views that the island’s distinct geography offers up. Views like this, all the way across the Aegean sea. 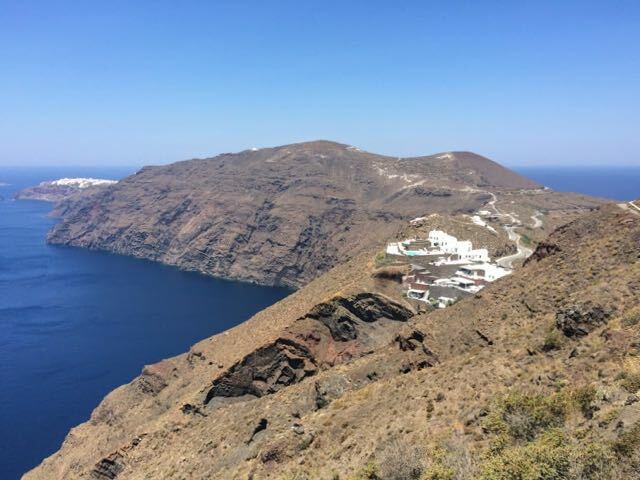 And if you’re feeling active, a walk between the main towns of Fira and Oia, which takes you on a path along the rim of the crater, is one of the highlights of the island. The hike takes a few hours and not only is there some incredible views, there aren’t many people viewing them. 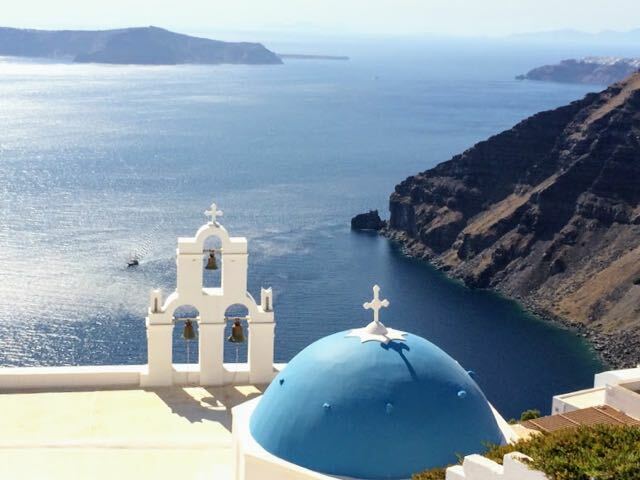 Should you go to Santorini? Over-crammed, over-priced and with infinity pools overlooking each other, Santorini is, by far, one of the most overrated spots in the Greek islands and, in my view, the world. Does that mean you shouldn’t go? 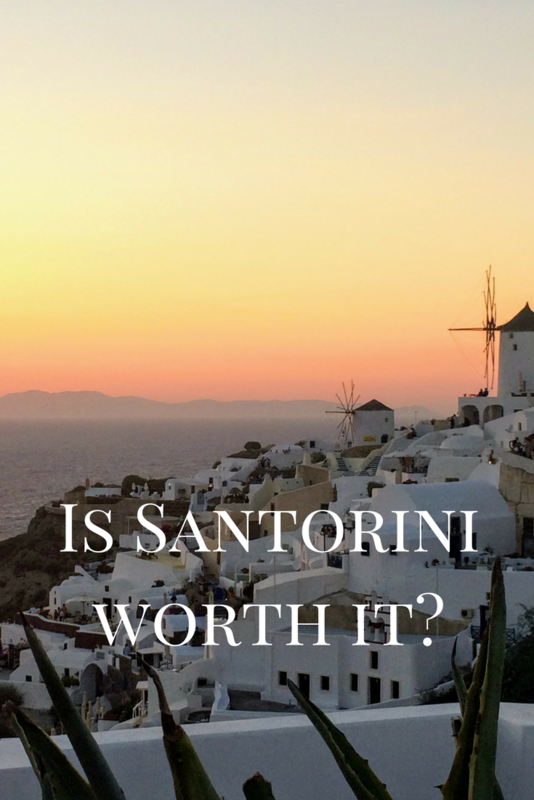 Does that mean Santorini isn’t worth it? Parts of Santorini are beautiful and if it’s on your bucket list, it’s not for me to talk you out of pursuing your travel dreams. However, do go with open eyes, a suitcase full of patience and a very full wallet. 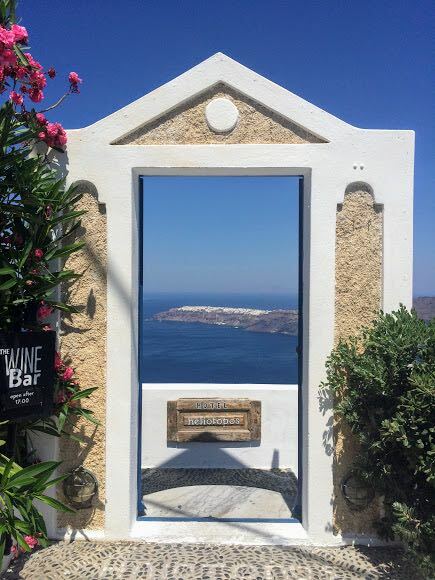 pick your infinity pool accommodation carefully – read reviews to make sure you’re not overlooked or on the Fira to Oia hiking route – to read reviews about Santorini hotels on TripAdvisor, click here. save your souvenir buying for other islands – I had a look at some local silver jewellery and the prices were higher than you’d pay at Harry Winston. Is there an alternative to Santorini? 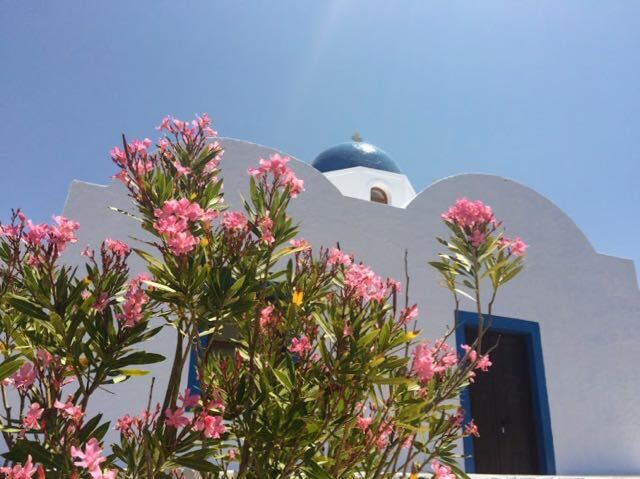 If having read this and probably other travel blogs about Santorini, you decide this island isn’t for you, don’t worry, there is a wonderful alternative to Santorini: Paros. Sitting about 150 kilometres away but sharing the same patch of sea, Paros is everything you want from Santorini – blue buildings, beautiful sunsets and powdery beaches – without the crowds and designer price tags. Better yet, you run the real risk of rubbing shoulders with some real Greek local life rather than chatting to people who are seeing Europe at the pace of one port a day. So, that’s my view on whether Santorini is worth it. Have you been? What did you think? Did you think it was worth it? Let me know in the comments below. If you wanna go to a good beach you ought to go to kamari beach. but: i dont pay much attention to whether buildings are blue or not. Maybe thats important for some. i think there’s someone stealing your post. Knew I had read the same article 2x. Edit from Jo: Thanks for letting me know about this. The thief was the person behind We Love Jet Lag. I’m calling her out because she failed to reply to any of my emails and committed a basic act of theft – not cool. 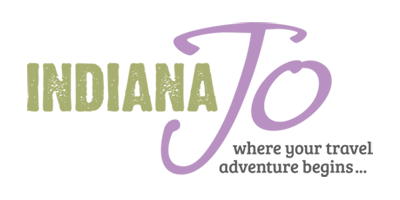 Sept.2-5, 2018. Your right ,it was expensive. Guess we have to make the most of it. Being senior citizens with young couple, walking those hilly, up,up and up ,then down,down and down ,we have to be extra careful. Staying at our hotel, Anthonas apts , is worth our trip in Santorini. It was very hospitable ,bringing our complete appetizing breakfast to the veranda and having to go breakfast cause we have to leave early on our last day. If you will be driving like us, be very extra careful also cause the streets are very narrow, stiff and zig-zag most of the streets. Thank you. I’m Greek and not sure how I ended up here. 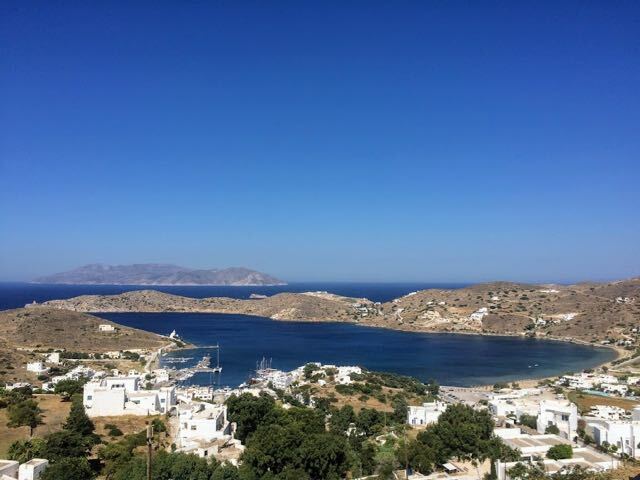 But since I am here, I should tell you that there are many Cycladic alternatives to Santorini. Syros, Andros (my island), Tinos, Amorgos, Anafi, Koufonisia are a few of them. That sounds like an amazing list of islands I’ve not heard of and most definitely want to explore so thank you for stopping by (however you got here). I’m going to say fate sent you. That’s interesting to hear another perspective and thanks for the tip of Folengandros! So we read your blog last winter and it convinced us NOT to go to Santorini- and you were spot on girl! 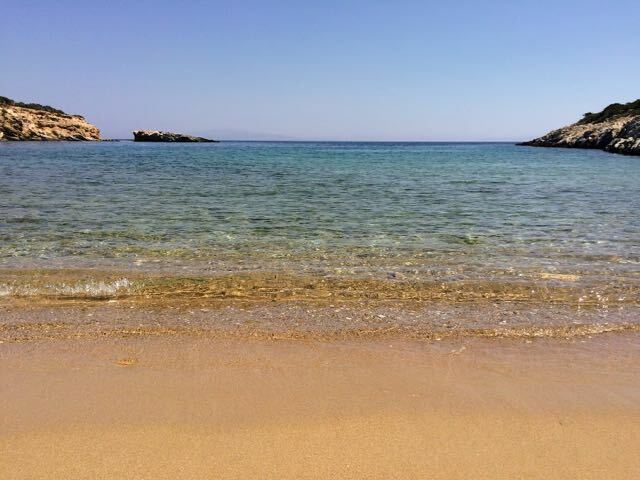 We did in fact go to Paros instead and there are no words to describe it’s beauty. Our ferry boat to Paros made a stop in Santorini- and 100’s of people got off. There were probably 50 people that got off at Paros. I personally dont like SUPER touristy places so after seeing your pics, I knew it wasn’t a good pick for us. Paros had everything you could imagine- authentic food, beautiful beaches, beautiful towns/shopping and wonderful people. THANK YOU! Our vacation was wonderful and it was a blog like yours that really helped. Hi Christine, isn’t Paros beautiful?! and glad you felt relieved to slip on to a quieter island. I wish I’d read more realistic reports before I got to Santorini! We are avid and experienced travelers. 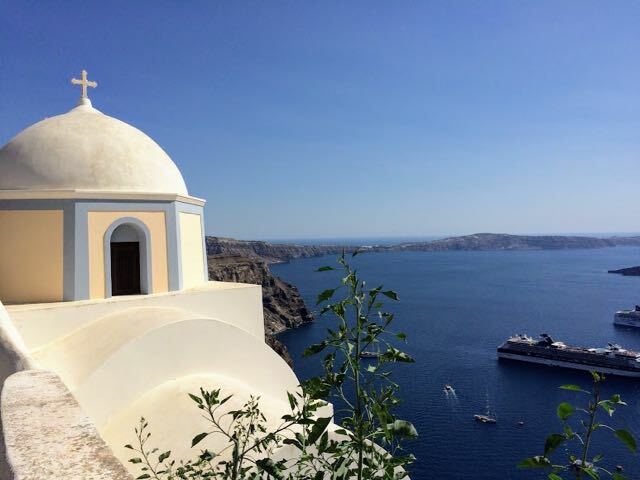 We just got back from three week Europe land/sea trip, wherein we cruised to Santorini and Mykonos. 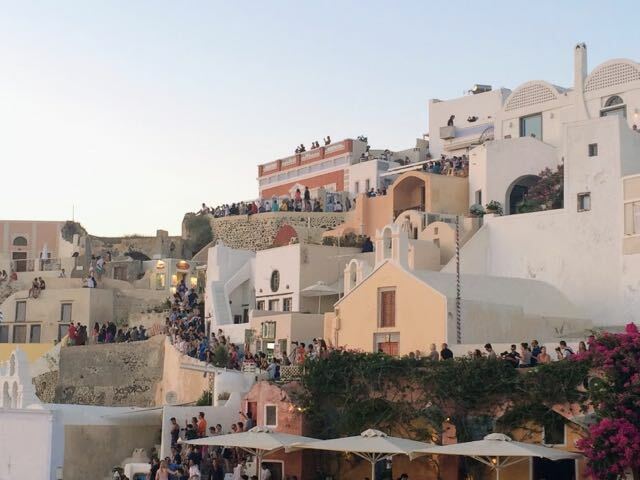 We enjoyed the boat to Oia across the caldera, and viewing the massive rocky cliffs, but the crowds were relentless-a moving mass of people wherever we went. I was not impressed with the stark white towns with zero shade or the rough beaches. The water was 58 degrees and too cold to swim and it was late June. The clincher was We waited two hours in a massive que to take funicular down to port. It was hot and crowded. Later, in an attempt to understand the popularity of these islands, I asked an Italian in Amalfi why he (and other Europeans) tout the Greek islands. He said the beaches, particularly the white beach on Mykonos. Oh my! When u compare the Greek beaches to the US Gulf Coast or the Bahamas, there is no comparison to our sugary white beaches-And ours are so much less crowded. ? 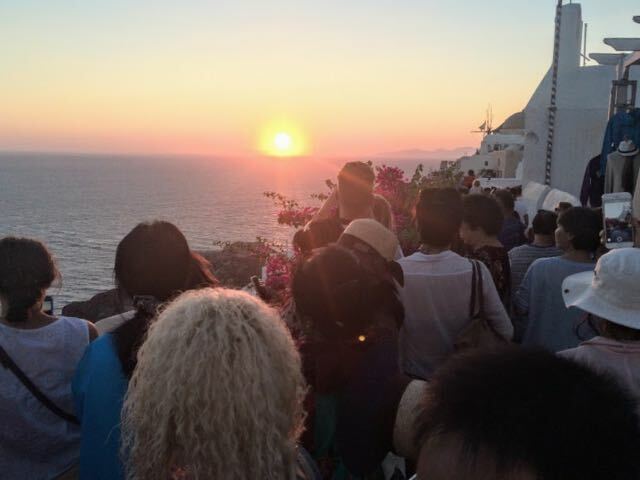 A moving mass of people is an excellent description and is one of the reasons I didn’t enjoy Santorini. It’s a good point about the beach. I found the beaches on Mykonos were beautiful but didn’t have the same experience on Santorini, which makes the island’s popularity even more baffling. I have yet to get to the Bahamas but it’s on my list. We are right now in santorini and we totally subscribe to your post. The beach isn’t the greatest, the food isn’t the tastier, the beautiful views aren’t that many and are filled with crowds. Although it isn’t a bad island it is super overestimated. We didn’t liked Fira at all, Oia it is indeed beautiful but is overcrowded and there are only few spots from where the view is spectacular, just like you said. In Kamari the beach is ok if you have beach shoes, and the water is absolutely fantastic, very clear and good for swimming. But Greece has definitely more beautiful islands than Santorini. I don’t regret coming here, but for sure I won’t be coming back. Completely agree on the overestimated point! I couldn’t agree more. In fact, I am hugely relieved that I am not the only traveller around who found Santorini positively underwhelming. Mind you, Akrotiri and Ancient Thera were definitely worth a visit, despite the strenuous drive in both cases, and the island undeniably is geologically astounding. However, if you have the sort of travel budget Santorini requires for a week’s stay (we stayed at a lovely complex of windmill villas), choose Argentina, Chile or (if you are a white beach and lush vegetation fan like me) — the Seychelles or Mauritius. And lastly a tip from my Greek teacher with whom I shared my disappointment (we live on Corfu): don’t ever go on holiday where the Greeks won’t. There were NO Greek holiday-makers on Santorini and I for one now know why. I have yet to make it to the Seychelles or Mauritius, both of which are my list so thanks for the reminder! Also, great tip from your Greek teacher. That’s interesting to know. You are right about social media and advertisements makes the place more popular. So everybody goes there and as a result it is very crowded. For me prefering alternative places as you mentioned is more sensible. It is just a holiday so no need to rush and crowd. Staying in quiet, clear alternative places can be more fun.Thanks for sharing. It’s funny, isn’t it, how one place becomes exceptionally popular while nearby islands that are just as good don’t gain the same crowds. I understand why some people absolutely must see the popular spots but I’d much prefer the lesser visited places, as you say. The crowds are ridiculous. I really think there’s something wrong with modern day tourism in the way everyone rushes to the same places in search for photos for their social media feeds. Reminds me of Ko Phi Phi – was incredible when I visited back in 2001, it was a circus (like the above) when I went back in 2008. I was in Santorini way back in 1987 and even though the views were spectacular (and there was lots less tourism back then) I think often tourism just ruins places. I would never go to Santorini today. Thanks Jo! Totally agree. I was on Santorini in April 2016 – just before the start of the season proper. It was STILL expensive and crowded. We did manage to get a seat at a bar for the Oia sunset, but couldn’t believe the crowds! We were talking to the waiter and he said it was nothing! There were only two cruise ships in that day, and in the peak of summer they get up to twelve ships a day! I’m happy I went, but I will not be going back. Other islands are so much better. We loved Naxos. 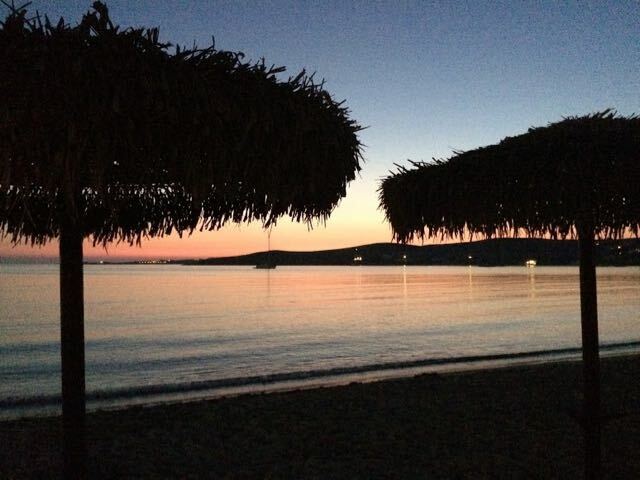 Paros is on the list the next time I get back to the Greek Islands. It’s good to know I’m not the only one who wasn’t thrilled by Santorini. Yes, I can see why it’s become popular but, like Venice, it’s become too popular. Also interesting to see that the slower season still isn’t exactly slow. I really enjoyed Naxos and I’m sad I only had a ‘between ferries’ day on the island. I’ll definitely be staying longer on my next trip. I went to Santorini at Easter, it was fabulous! Not as crowded as the summer or as hot, rented a car and saw the entire island and it was breathtaking. That’s interesting to know – I would have thought Greece would have been more busy at Easter so that’s a great tip – thanks! The Greek Orthodox Easter is on a different calendar than the Roman Catholic Easter. That could be why is wasn’t as crowded. I was there on a cruise and loved it! We had a private local tour guide who took us off the beaten path. And he took amazing photos of us at beautiful spots on the island! Yep, I guess a local guide would make a lot of difference. Good suggestion, Nancy.